Ohio’s premier resort for skiing, snowboarding, and snow tubing will host the 58th Annual Ski Carnival February 23 and 24. The weekend festivities have been celebrated since the very first season in 1961-‘62 at Snow Trails. Normal lift ticket hours & rates for skiing and snowboarding, as well as normal tubing hours & rates in Vertical Descent Tubing Park will apply all weekend. Although the events and features are designed to add excitement and fun to the weekend, all are welcome to come and enjoy the resort whether you participate in events or not. 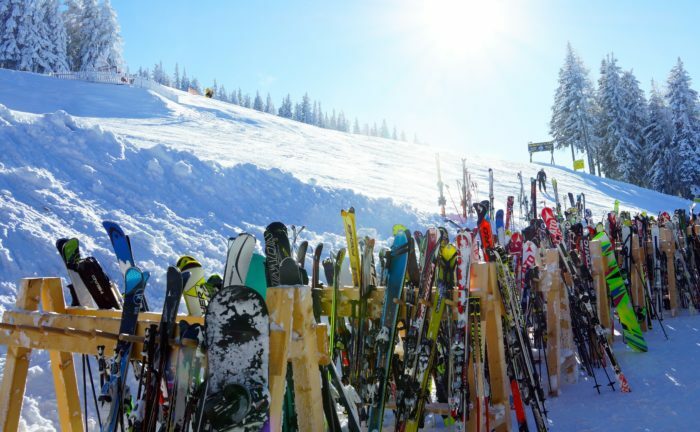 The Annual Ski Carnival at Snow Trails has become a reunion for many over the years. There is something for everyone, from the Nesquik Kids Challenge, to the famous Bikini and Chippendale Slalom races, to events to take place in the Tubing Park, including the ever popular Cardboard Creation Race and new Tubing Bobsled – plus Skier/Boarder Cross Race and a crowd and participant favorite the Mt. Dew Slush Cup! Access for the Band: Swagg on Carnival Saturday is $10.00. Tickets can be purchased online or at Guest Services ahead of the show. Access is free for passholders and day ticket holders but admission is not guaranteed if we sell out…so buy early as numbers are limited, and sell-outs do happen. Views of last year’s Ski Carnival can be seen in the video below.